The Tuki Tuki Valley is a spectacular piece of Hawkes Bay. Shadows down the valley give an ever changing visual show, as they move across rolling hills that meet expansive skies. With world class wineries in Craggy Range, and award winning restaurant Black Barn both being only 15 minutes drive away, your appetite for fine wine and cuisine will be well satisfied. Havelock North's boutique shopping, cafes, restaurants and bars are only 15 minutes away, or take in the Art Deco of Napier, a city caught in time, a 30 min drive. Hawkes bays premium sandy beaches, Ocean beach with dunes and surf is a mere 20 mins drive, and Waimarama Beach settlement 25 mins, with its local store and fish and chip shop. The house has been the 10 year persuit of a dream. Mark one of your hosts, designed the house over 4 years while overseas travelling, and has spent the last 4 years working off and on with skilled tradesmen to get it completed. The house was designed around eco principals that would best take in the stunning views. 3 offset curved roof sections designed with passive heating in mind, make for cool summer days and warm cosy winters. New sits alongside old and quirky, with polished concrete offsetting restored native timber doors and stair case, all out of a local monastery pulled down 30 years ago. Please watch young children on stairs. On tank water, please conserve. Please be aware of what goes down toilet. NO hygiene products, due to being on a septic tank system. Great guests was a pleasure having them at Tuki Views. Kept house clean and tidy. Fabulous, thank you Annmarie. Jaw dropping views mean you probably don't look at the house that much but when you do it is fantastic too! Comfortable, spacious and well appointed - perfect for a break. This home is unbelievable. The views are not to be believed--from virtually every room. Very spacious kitchen for cooking a wonderful meal with local produce. Great location near wineries and Havelock North for fantastic restaurants. Anna and Mark are very thoughtful hosts and very communicative. They left a bottle of wine, chocolates and great local guides. Could not recommend this place more. Fantastic having you stay with your gorgeous family. You left the property in great condition thank you for this! It was so wonderful to have your family enjoy our home, it’s our pleasure to have you stay you are most welcome back. This house had stunning views of the hills and valley; dynamic but also peaceful. The house itself was very well equipped in every way and so comfortable. For us, as 7 adults having a family reunion, it couldn’t have been better. Many thanks to the owners. 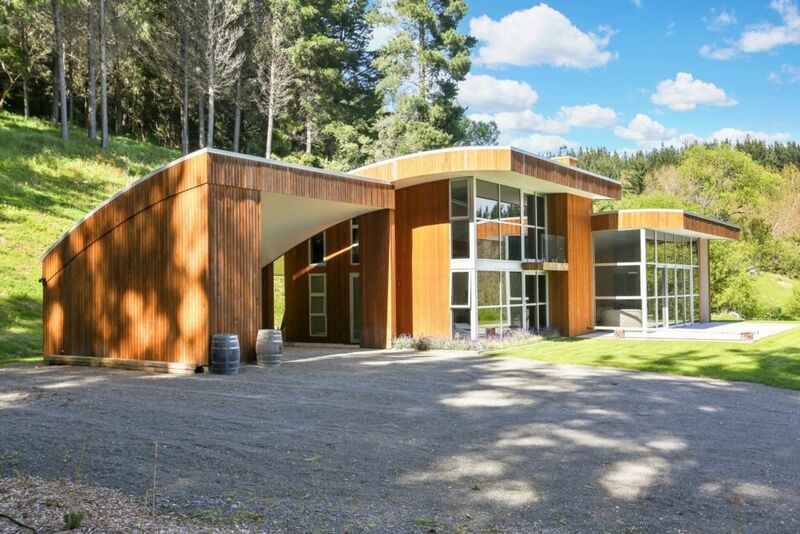 Situated a little far from town (20 minutes from Havelock North or 35 minutes to Napier City) definitely requires one to have their own private transport. However, if you plan to have a nice relaxing trip with your family or friends, this is the place for you! The house it self is modern and warm (even in the middle of winter). The rooms are large and spacious. The kitchen inspires you to cook. The view is an absolute winner. Communication was prompt. Had the most wonderful time. Thank you! Amazing, beautiful house with everything you need. Very warm and spacious, location is private and very quiet with lovely views. Can't wait to return!